1.Shi X, Wu X, Song T, et al. Construction of DNA nanotubes with controllable diameters and patterns using hierarchical DNA sub-tiles[J]. Nanoscale, 2016, 8(31): 14785-14792. 2.Shi X, Chen C, Li X, et al. Size-controllable DNA nanoribbons assembled from three types of reusable brick single-strand DNA tiles[J]. Soft Matter, 2015, 11(43): 8484-8492. 3.Shi X, Lu W, Wang Z, et al. Programmable DNA tile self-assembly using a hierarchical sub-tile strategy[J]. Nanotechnology, 2014, 25(7): 075602. 4.Shi X, Wang Z, Deng C, et al. A novel bio-sensor based on DNA strand displacement[J]. PloS one, 2014, 9(10): e108856. 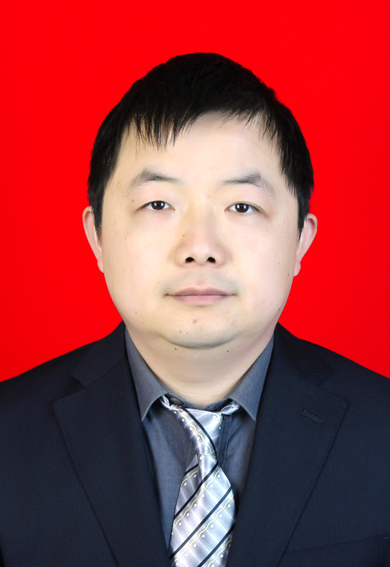 5.Wang Y, Ma X, Cui G. Logical Computation Using Algorithmic Self-Assembly of DNA Sub-Tile[J]. Journal of Computational and Theoretical Nanoscience, 2016, 13(6): 3959-3963. 6.Wang Y, Ma X, Li M, et al. Analogical China Map Constructed by Single-Stranded DNA Tiles Assembly[J]. Journal of Computational and Theoretical Nanoscience, 2016, 13(6): 3865-3870. 7.Wang Y, Tian G, Hou H, et al. Simple logic computation based on the DNA strand displacement[J]. Journal of Computational and Theoretical Nanoscience, 2014, 11(9): 1975-1982. 8.Wang Y, Zhao T, Shi X, et al. Controllable Deoxyribonucleic Acids Sub-Tile Self-Assembly by Deoxyribonucleic Acids Strand Displacement[J]. Journal of Computational and Theoretical Nanoscience, 2015, 12(10): 3774-3780. 9.Chen Z, Zhang P, Wu T, et al. A Novel Computational Approach to Predict Activity of Nuclear Export Signals[J]. Journal of Computational and Theoretical Nanoscience, 2015, 12(12): 6016-6019. 10.Chen Z, Zhao Y, Wang Z, et al. A Novel Method for the Construction of Evolutionary Tree Based on Expectation Maximization Algorithm[J]. Journal of Computational and Theoretical Nanoscience, 2016, 13(6): 3799-3803. 11.Chen Z, Song T, Huang Y, et al. Solving Vertex Cover Problem Using DNA Tile Assembly Model[J]. Journal of Applied Mathematics, 2013, 2013. 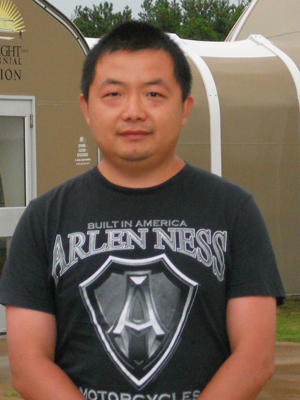 12.Chen Z, Qiang X, Zhang K. Molecular Model for Information Addressing and Transporting Based on DNA Nanotechnology[M]//Bio-Inspired Computing-Theories and Applications. Springer Berlin Heidelberg, 2014: 29-34. 13.Song T, Shi X, Xu J. Reversible spiking neural P systems[J]. Frontiers of Computer Science, 2013, 7(3): 350-358. 14.Shi X, Li X, Zhang Z, et al. Improve capability of DNA automaton: DNA automaton with three internal states and tape head move in two directions[C]// International Conference on Advances in Intelligent Computing. Springer-Verlag, 2005:71-79. 15.Shi X, Pan L, Jin X. General DNA automaton model with r/w tape[C]// International Conference on Computational Intelligence and Bioinformatics. Springer-Verlag, 2006:258-266. 16.Shao Z, Xu X, Shi X, et al. Some three-color Ramsey numbers, R(P 4, P 5, C k ) and R(P 4, P 6, C k )[J]. European Journal of Combinatorics, 2009, 30(2):396–403.